Laing O’Rourke has stepped in to replace BAM Construction to deliver a £110m shopping centre extension for Intu in Watford. BAM was appointed as part of a two-stage process to develop the designs and carry out enabling works for the Intu Watford extension over a year ago. The deal included demolition of several buildings, the refurbishment of the existing car park block as well as a substantial element of new build. But earlier this summer it emerged that BAM could not agree a price for the full job with the client. Since then Intu has been in talks with other bidders. A source close to the project said Laing O’Rourke was set to be signed up for the job, which is due to start early next year. 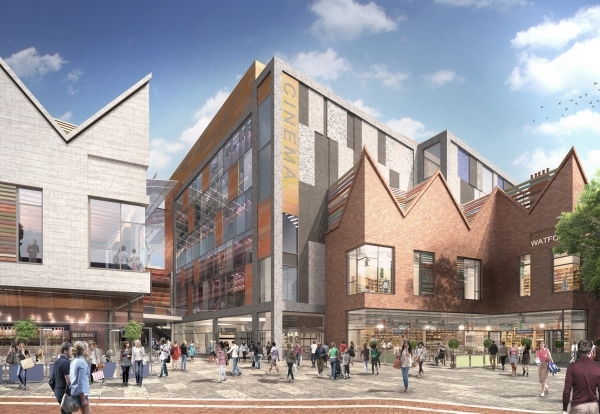 Intu developed the project to connect the Intu Watford shopping centre and the adjoining Charter Place retail site, which it acquired in April 2013 after several other developers failed to get plans off the ground. It is one of three major retail projects due to start within the next 12 months. This includes the £150m redevelopment of intu Broadmarsh in Nottingham and introducing significant leisure attractions to intu Lakeside in West Thurrock, Essex.